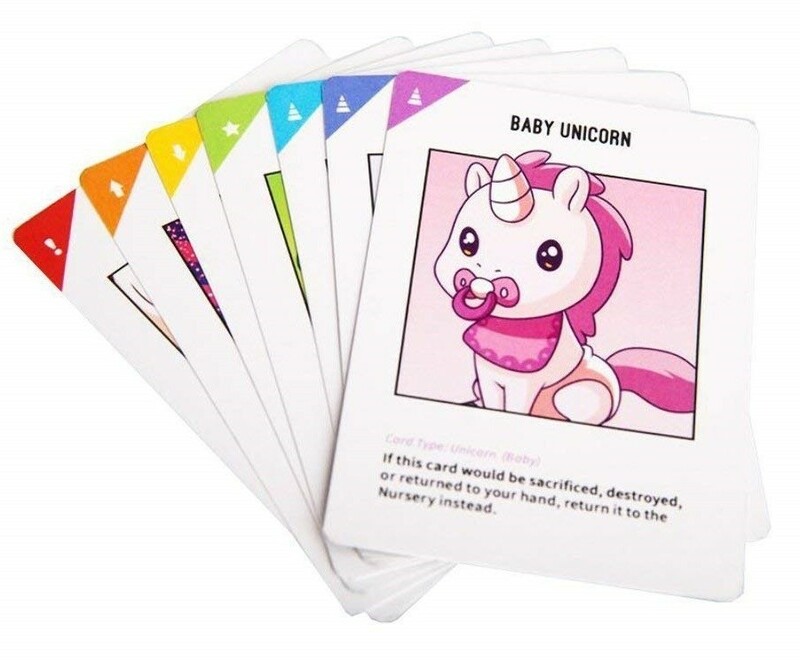 This card game combines two of your favorite things: destruction and unicorns! 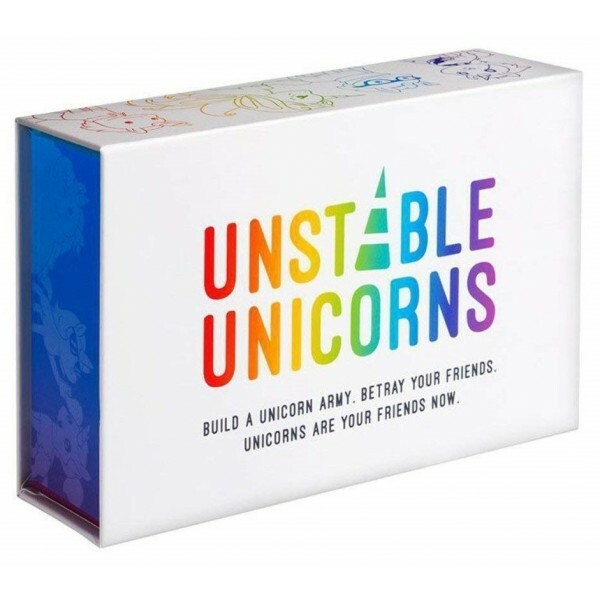 In Unstable Unicorns, you work to build an army of seven unicorns before your opponent does. 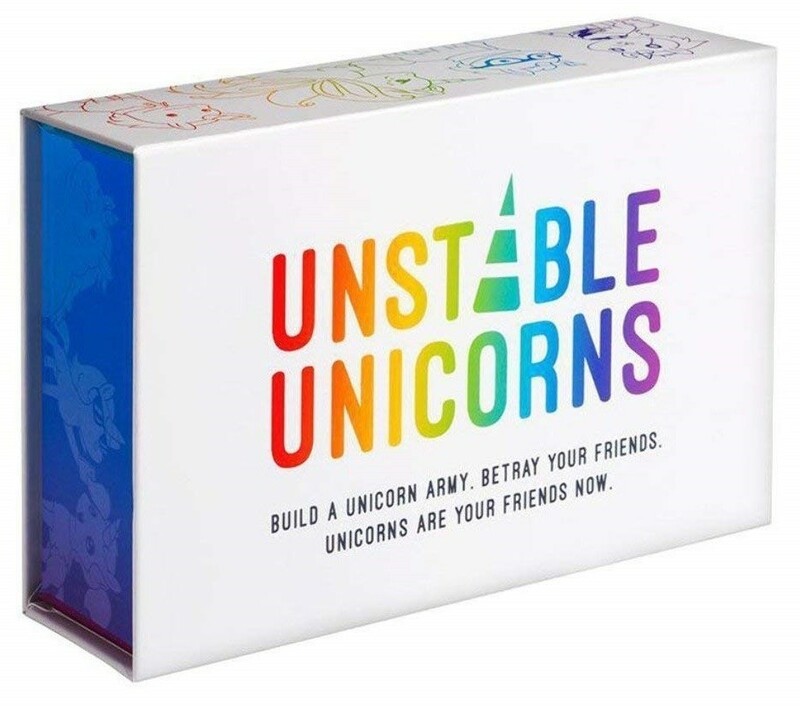 Add unicorns to your army or upgrade your stable — or play strategically and use your cards to block a move or downgrade your opponents. Gorgeous, hilarious artwork and fast-paced play made this game a spectacular success on Kickstarter, and now it's available for anyone to play! This game for 2 to 8 players takes approximately 30 to 45 minutes to play.